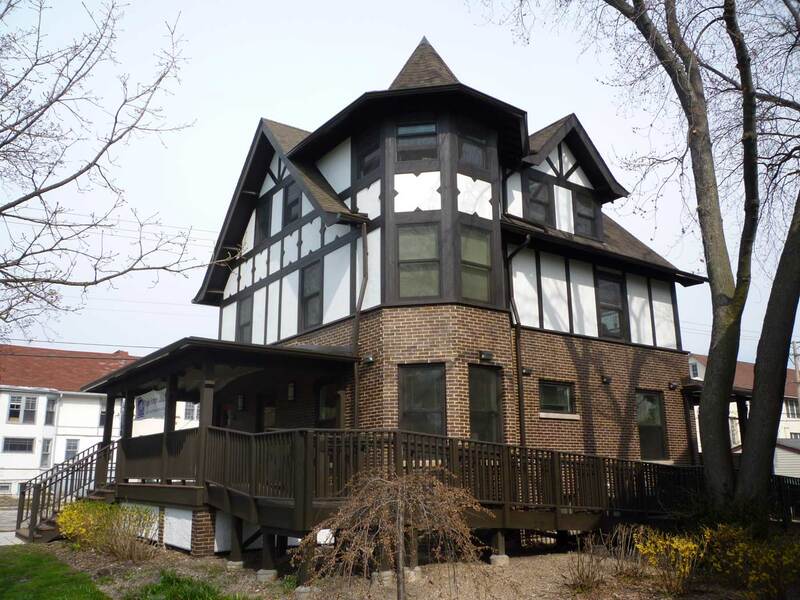 629 Colfax is a two-and-a-half story wood frame single family residence built in 1920 and most recently occupied by Northwestern University student artist studios. The building could have easily been slated for demolition but was instead creatively rehabbed to salvage as much of the existing structure as possible, repurposing it from its original design as a single family home to Northwestern University Study Abroad ofﬁces. 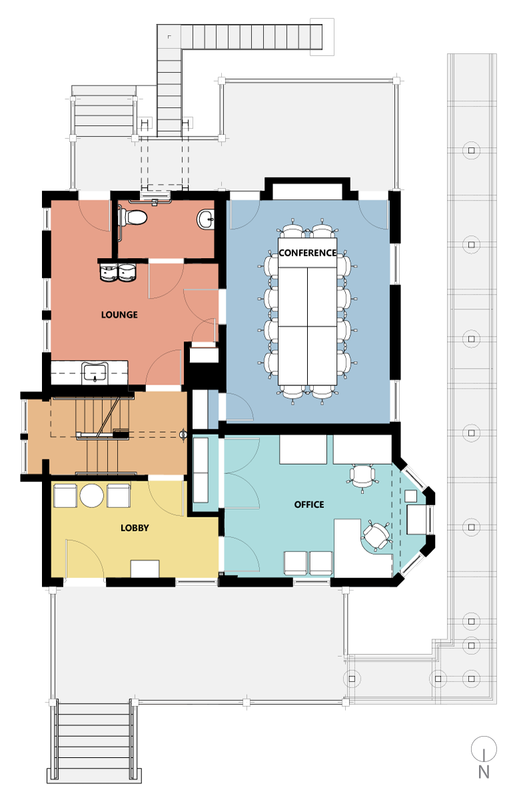 The new ofﬁce layout was simple and straightforward: The house’s original ground ﬂoor entry became a waiting area, the living room became a conference room and reception, and the bedrooms became ofﬁces. On the interior, the stairs were enlarged to meet the life safety code and an accessible toilet room and kitchen were added to the ground ﬂoor. A new ramp was built along the east side of the house starting at the rear of the property. The front stair was rebuilt, new paneled doors and energy efﬁcient aluminum-clad wood windows were installed throughout. 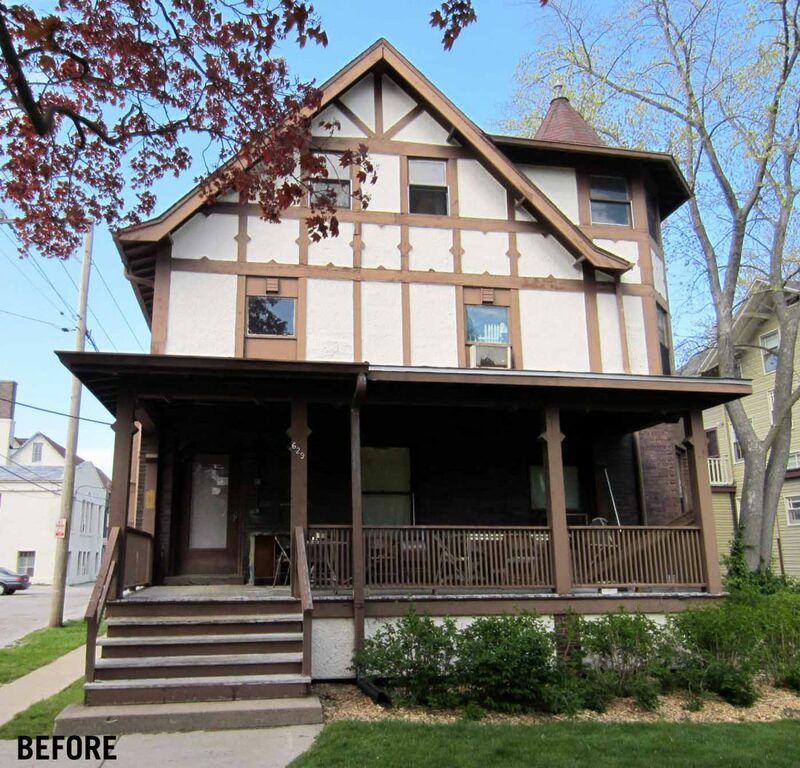 Although not originally a pure Tudor Revival home, it was important to maintain the architectural integrity as much as possible, so exterior trim was rebuilt to match the original and painted a dark color appropriate for the original architectural detailing. The building received a full mechanical, plumbing and electrical overhaul. The old boiler and radiator heating system were replaced with a new zoned forced-air furnace system and central air conditioning. As a result of the insulation, window, air sealing, and mechanical upgrades, the building’s overall electrical and gas energy usage has decreased by over 20%.